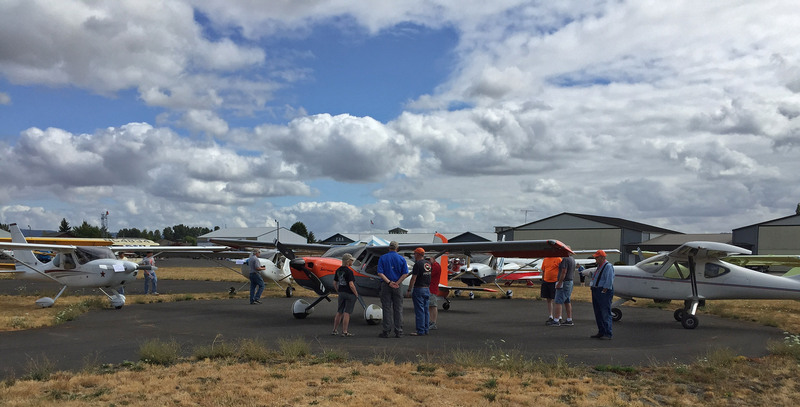 The Independence, Oregon fly-in is an annual fly-in that draws a number of Northwest Glasair/Stoddard-Hamilton planes. Events include seminars and forums on fiberglass, painting, safety, avionics, and other topics of interest to pilots, tours to points of local interest. 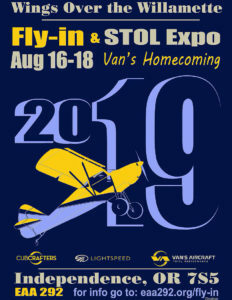 Visit the Chapter 292 website to register for dinners, STOL EXPO, free housing and camping. Register as early as possible as dinners, housing and STOL registrations are limited. Luncheon and STOL EXPO awards ceremony.